Prior to the match, The Young Bucks requested that they made this title match a Texas Tornado match and go a little crazy and everyone agreed. Following the match, James R Kennedy says about how he and Drake are off to Orlando and claims that Prospect are dead! Backstage interview with WCPW Women’s Champion, Bea Preistley and how she turned down the challenge of Lana Austin, but if Lana wants a shot at the title just like every other challenger they will have to go through Viper. WCPW General Manager, Adam Blampied comes out tells Bea and tells her to behave and says she will be defending her title and it will be against the opponent she was due to face at “True Destiny”… Tessa Blanchard! 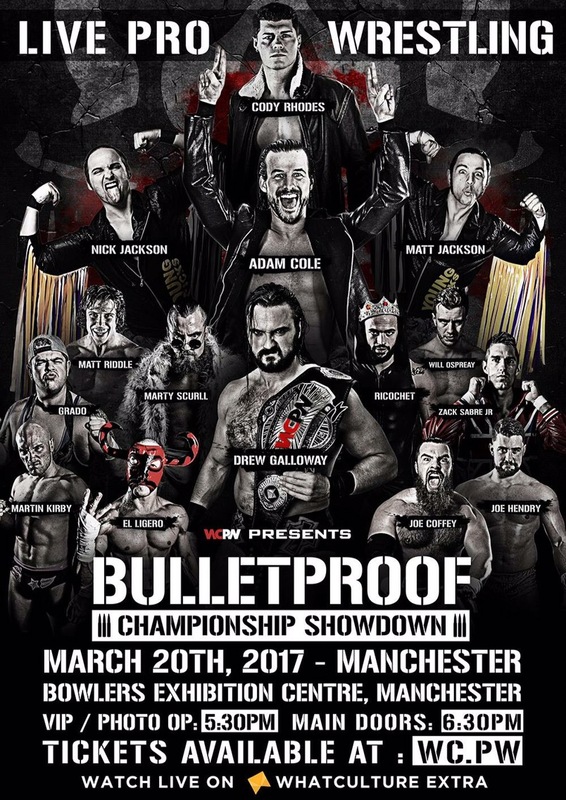 Prior to the match, Adam Cole said he wasn’t fit to wrestle, he was then interupted by WCPW General Manager, Adam Blampied, who said he would be competing and there was a third player in the match and introduced… ROH World Champion, Christopher Damiels and it would be for the ROH World Title!